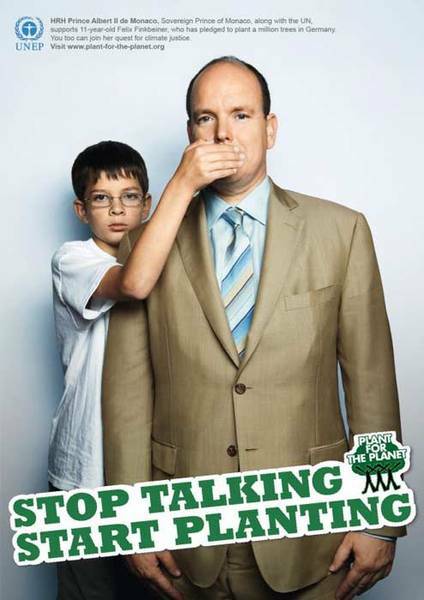 Prince Albert supports "Stop talking. 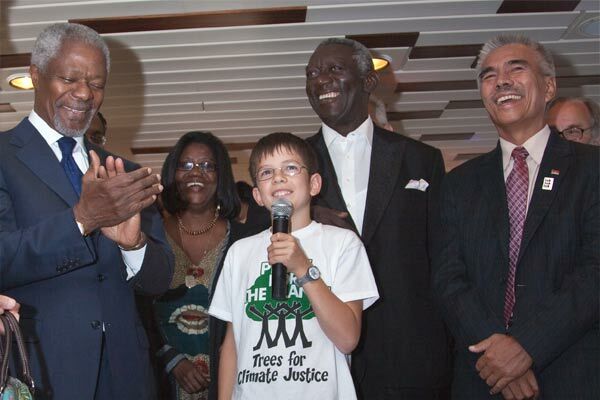 Start planting"
In January 2007, 9-year-old Felix Finkbeiner shared a vision with his school that like Nobel Prize winner Wangari Maathai, children could help the climate crisis by planting a million trees in each of their countries. This vision grew from a school presentation in Germany into Plant-for-the-Planet, which now involves about 100,000 children in more than 100 countries. The project has been so successful, that they have surpassed their goal and have set a new goal of 1 trillion trees. 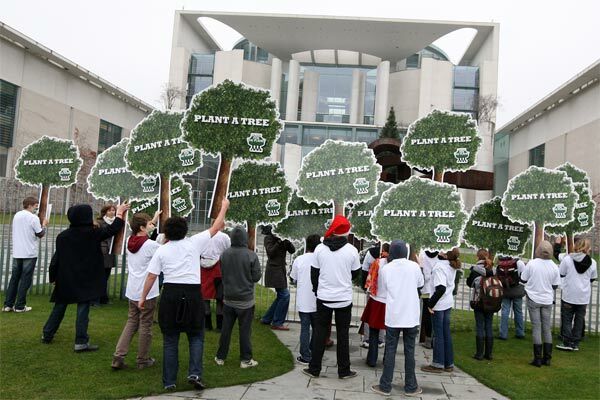 The United Nations handed their "tree-o-meter," which tracks trees planted, to the children of Plant-for-the-Planet. At the time of this writing, the group has planted more than 12.5 billion trees, with nearly 13.8 billion more pledged to be planted. Along with the tree planting goal, Plant-for-the-Planet is also calling for putting carbon emissions "in a museum" by switching to 100% renewable energy by 2050. They also want to put global poverty in a museum by making the people in the rich, developed countries who wish to emit a lot of carbon dioxide buy the rights to do so from the poor countries who emit less. This "climate justice," the group explains, will incentivize developing countries to invest in renewable energies and other positive additions to their societies. 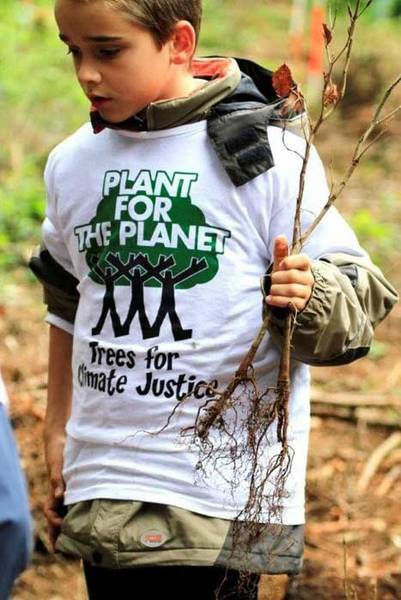 Plant-for-the-Planet acknowledges that a children's initiative like theirs needs help from adults and has therefore, among other outreach efforts, sent their 3 point plants to heads of government around the world. Felix has even been on the American daytime television show Dr. Phil. Dr. Phil pledged to help plant 1000 trees in the U.S., at the donated cost of 1 euro per tree.